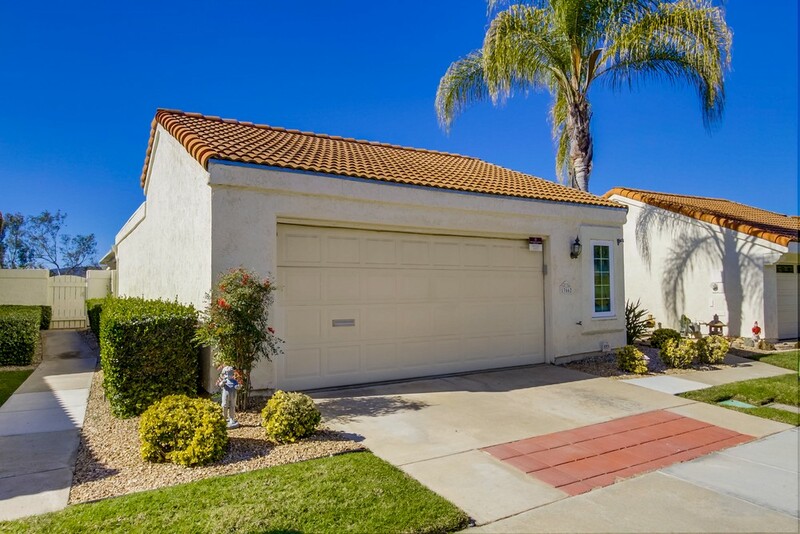 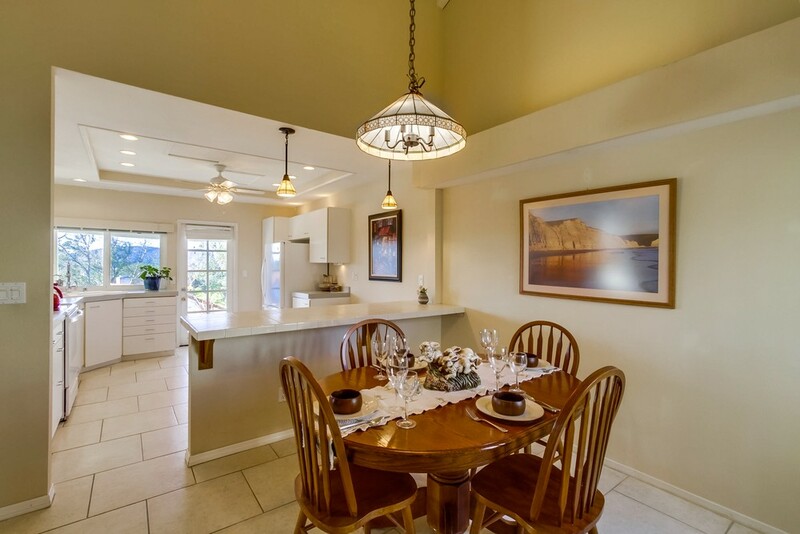 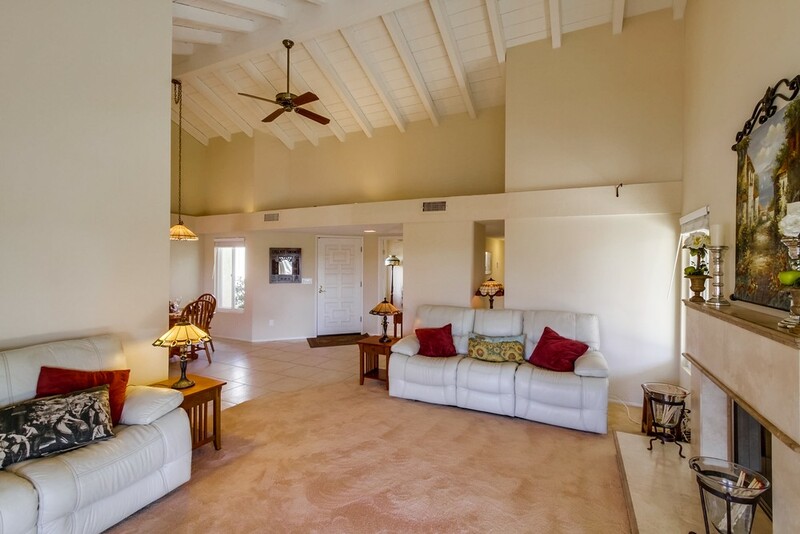 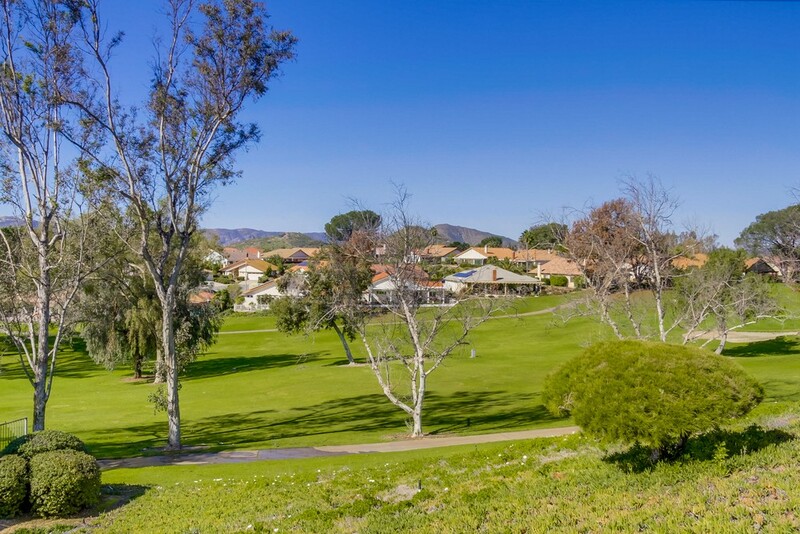 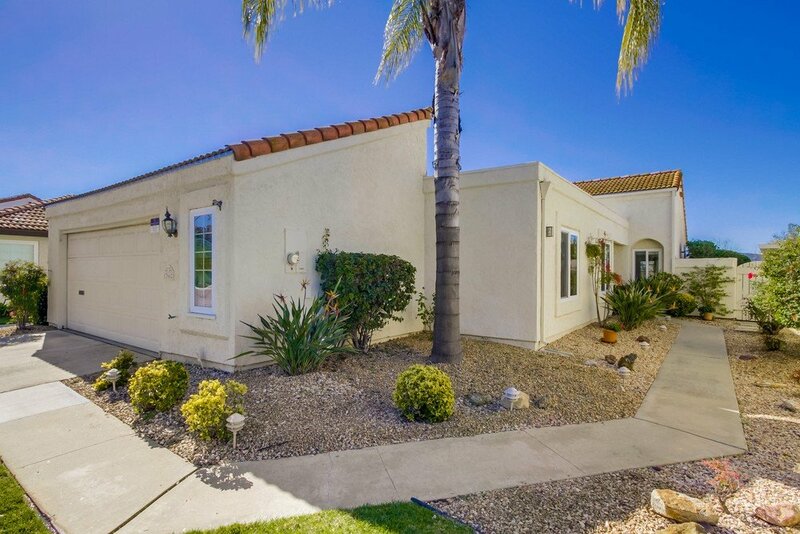 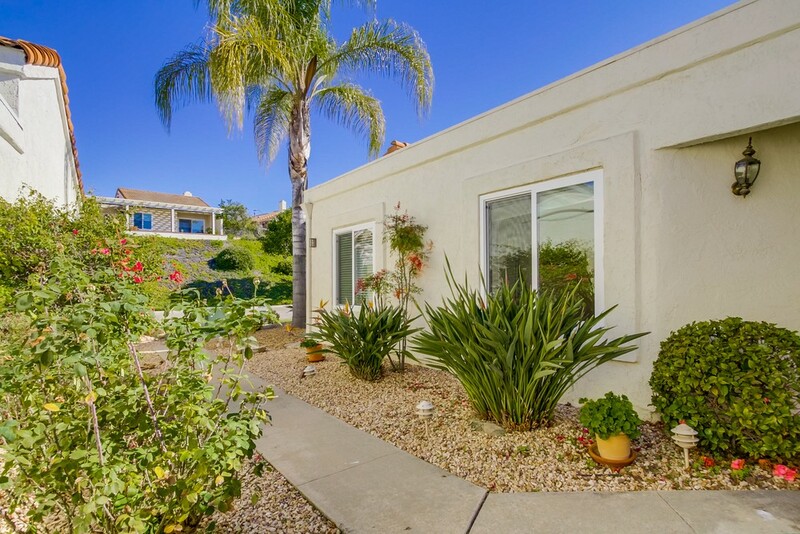 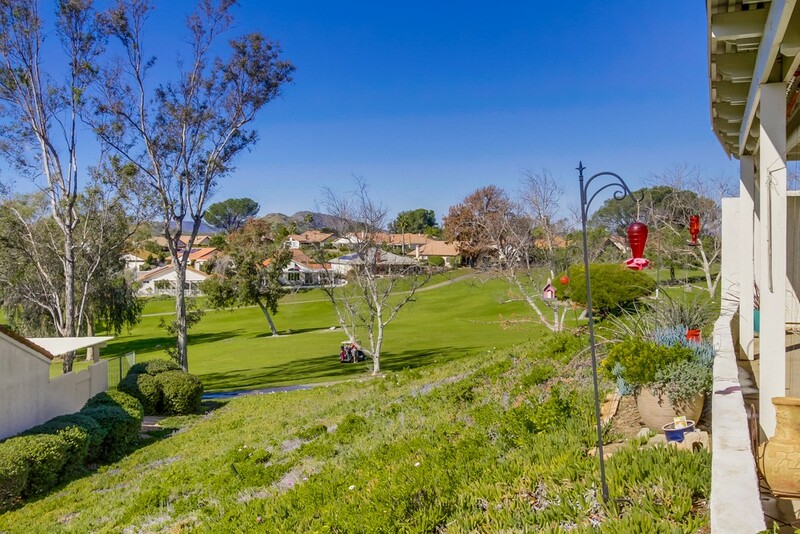 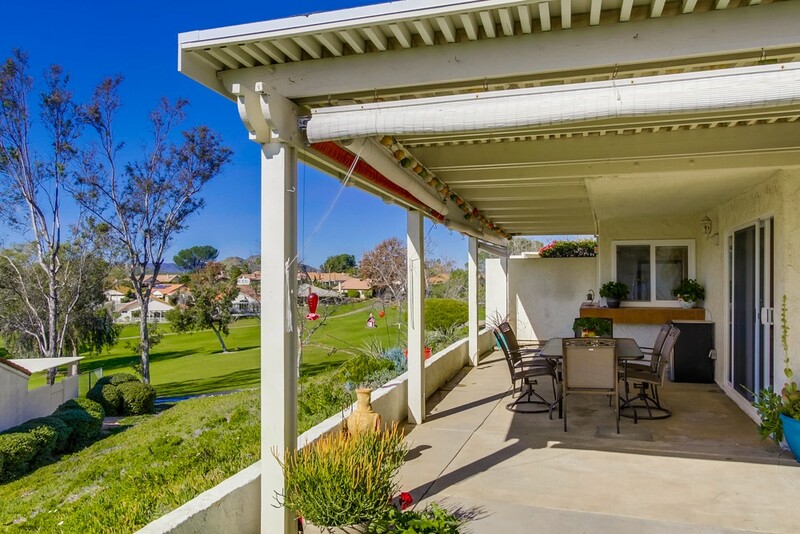 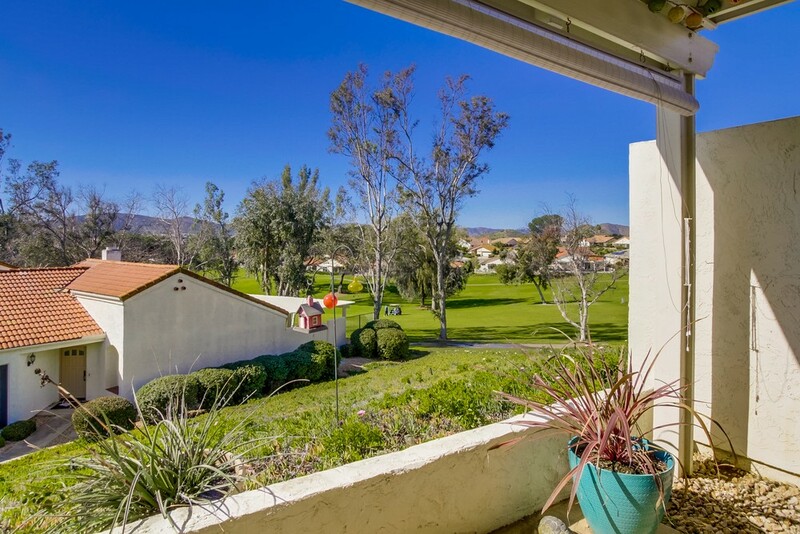 Lovely single level home with golf course and mountain views. 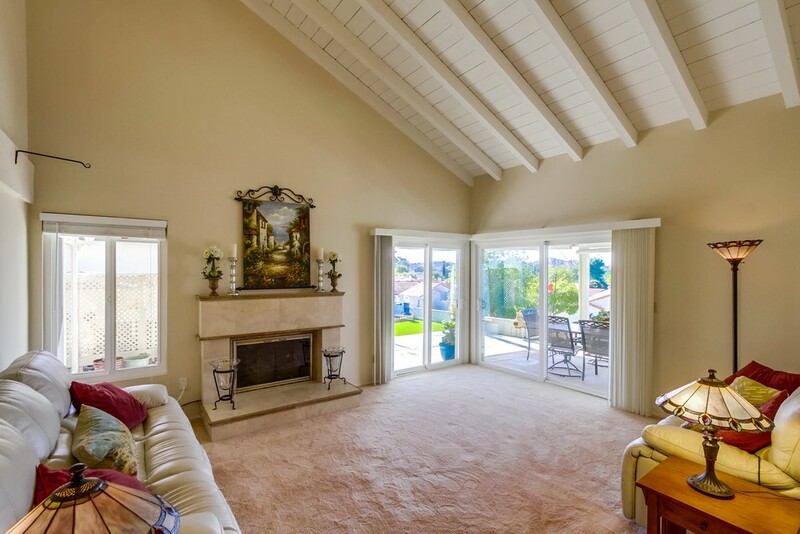 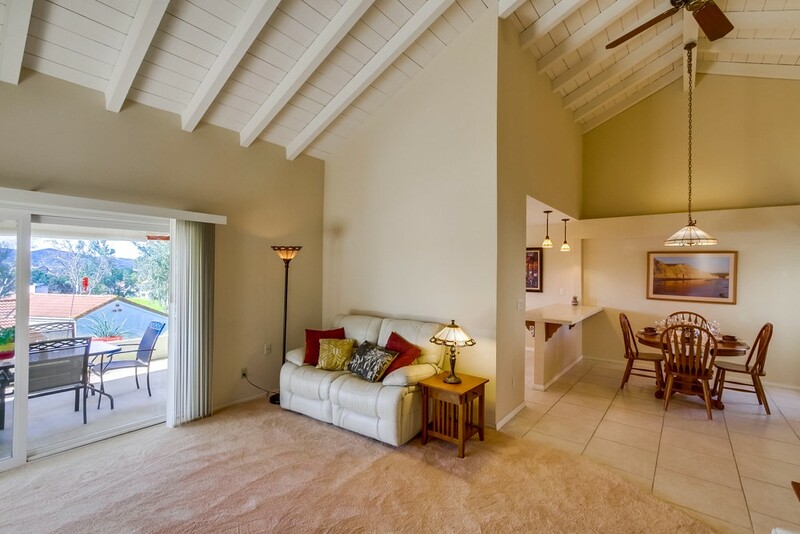 Living room features soaring wood beam ceilings, cozy fireplace and slider doors to backyard. 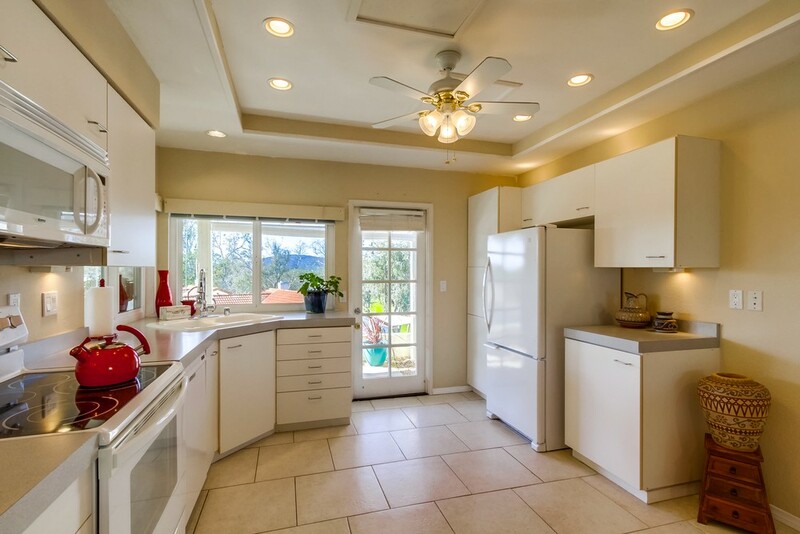 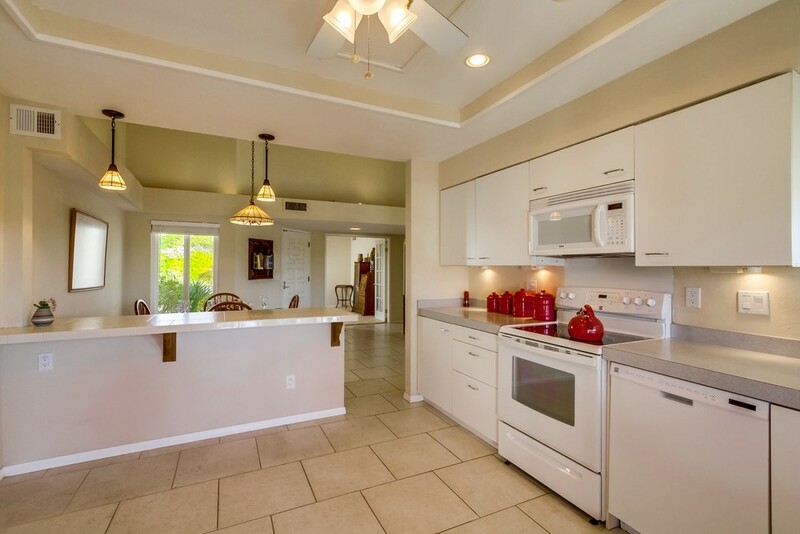 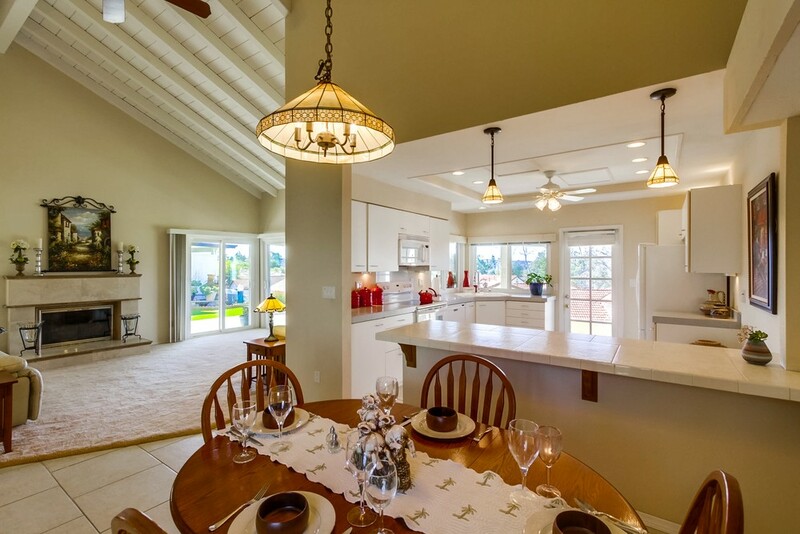 The kitchen has a French door to the patio area, recessed lighting and plenty of natural light. 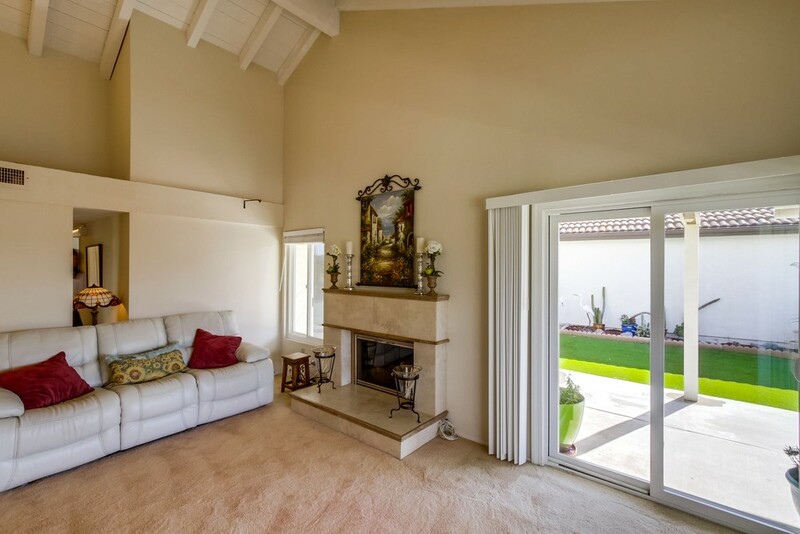 Spacious master bedroom with slider doors to backyard and an ensuite bath. 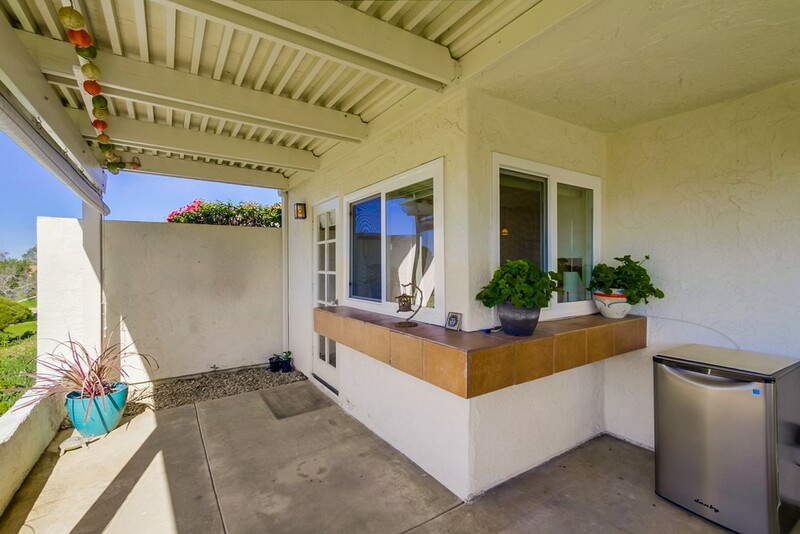 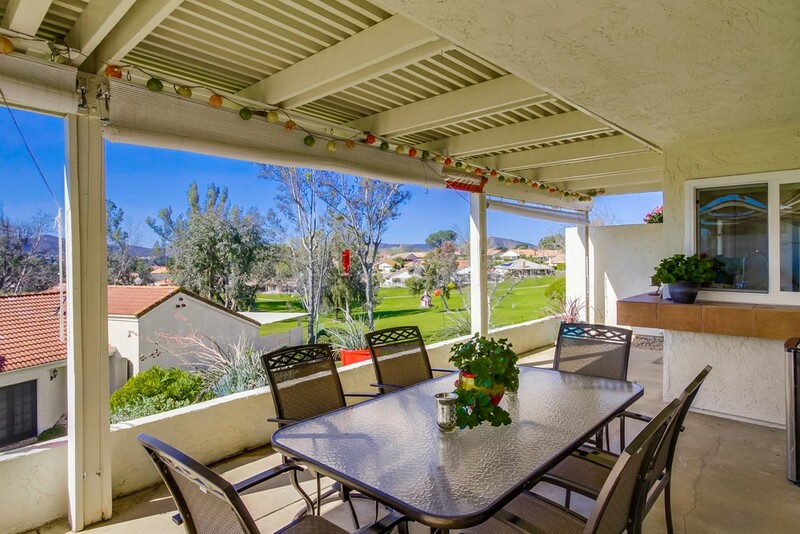 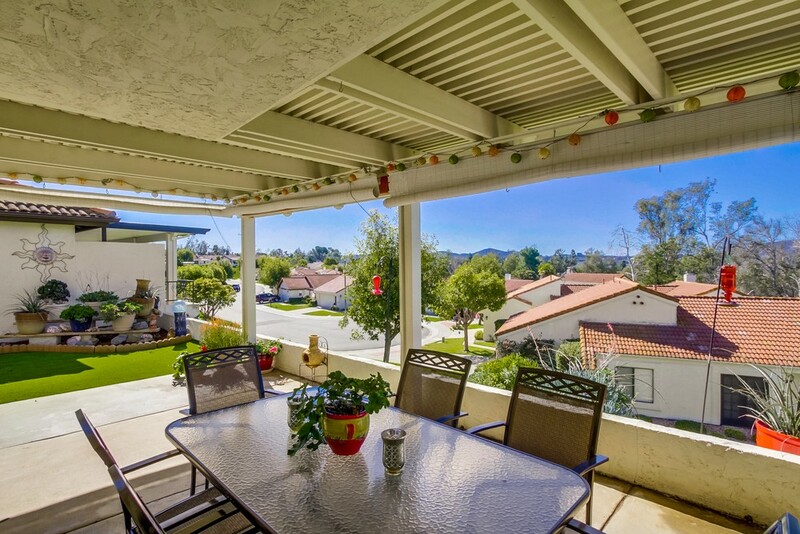 Covered patio to enjoy the serene views and cooling summer breezes. 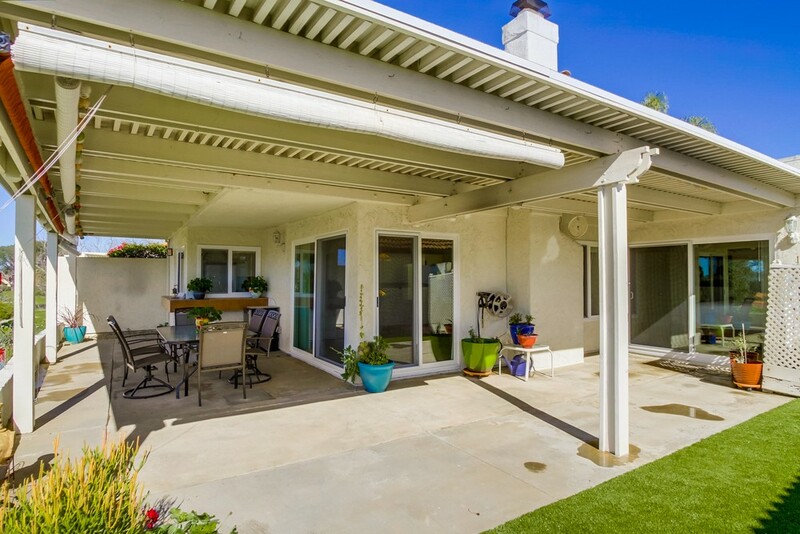 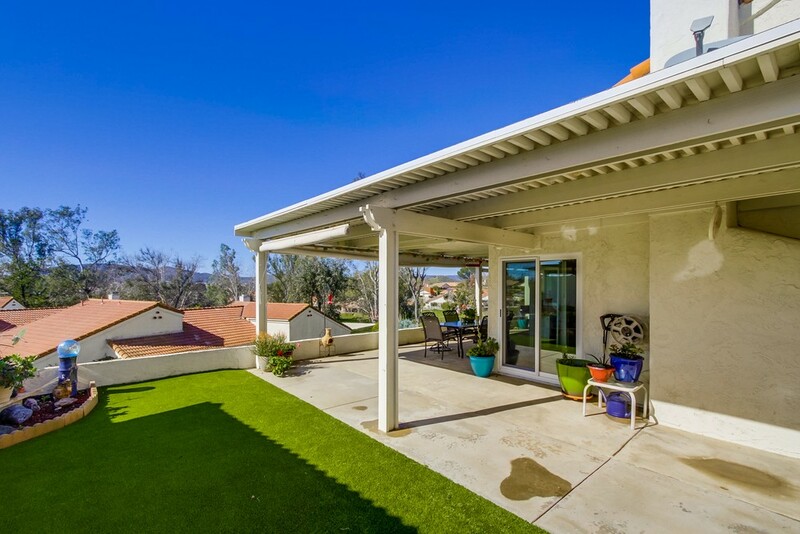 The rear yard boasts artificial turf and plenty of patio space for entertaining. 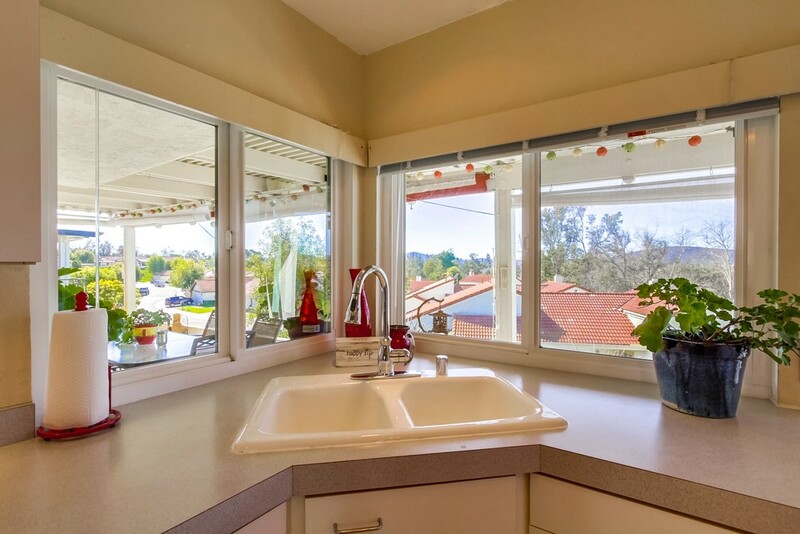 Newer doors and windows.